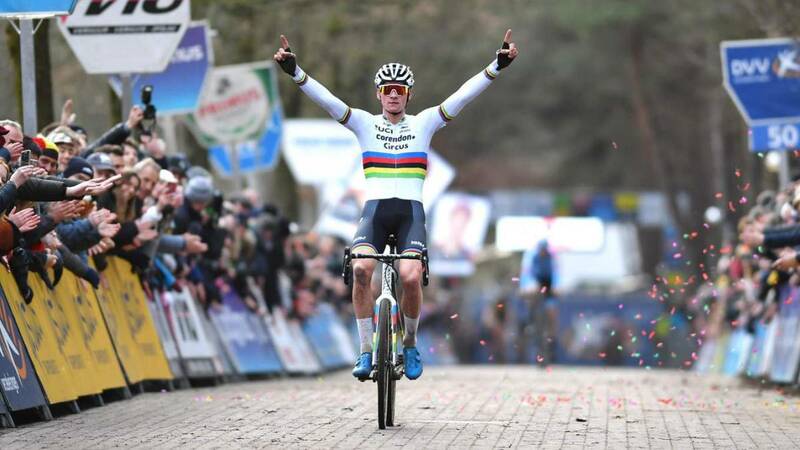 Home Cycling Van der Poel: "I will continue on the cross, road and mountain bike"
Van der Poel: "I will continue on the cross, road and mountain bike"
The Dutchman has ensured that he will continue to combine different disciplines until the Olympic Games in Tokyo in 2020. Many cyclists who have excelled in mountain biking or cyclocross have ended up making the leap to road cycling. This is demonstrated by the recent case of Wout van Aert, , which after dominating the cyclocross crowning itself as world champion, decided to take the road to the road with the Jumbo Visma, , with whom it will debut next March in the classics of spring once the cyclocross season is over. Not the case of Mathieu van der Poel. The Dutchman has confirmed his desire to continue with his current roadmap, which combines cyclo-cross with road cycling and mountain biking. "I will definitely continue to handle a complete cyclo-cross program for a few seasons and combine it with road and mountain biking until the Games, after which a discipline can disappear," said van der Poel in the middle of Sporza.
. have an enviable palmar in the cyclocross, where he is world champion, and one of very respectable mountain bike (Dutch national champion, and finished third in the world championship of cross-country and silver in World Cup), van der Poel continues to find motivations to stay in this type of disciplines a few years before going to the road, something that could occur from the Tokyo Games in 2020. "Now that I'm so close I want to achieve it", said the Dutch on the possibility of winning his eight of eight in the last test of Sperprestige of the tempor ada in Middelkerke. It would equal the record of Sven Nys in the 2006/07 season. Big words.